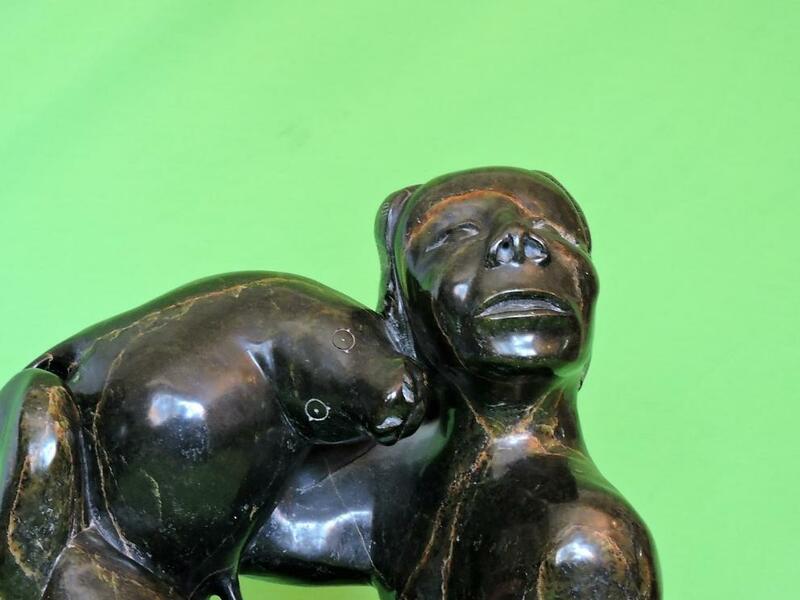 " Man and Seal" A work produced by "JOLLY ANINGMIUQ" Cape Dorset, North West Territories, Canada. This piece represents the new hunter (youth) on his first hunt. 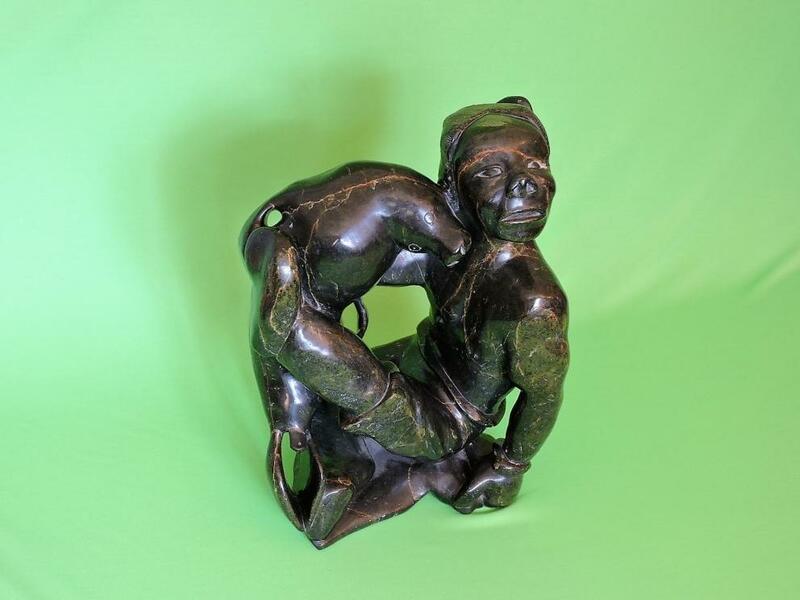 A work produced by "JOLLY ANINGMIUQ" Cape Dorset, North West Territories, Canada. This piece represents the new hunter (youth) on his first hunt. 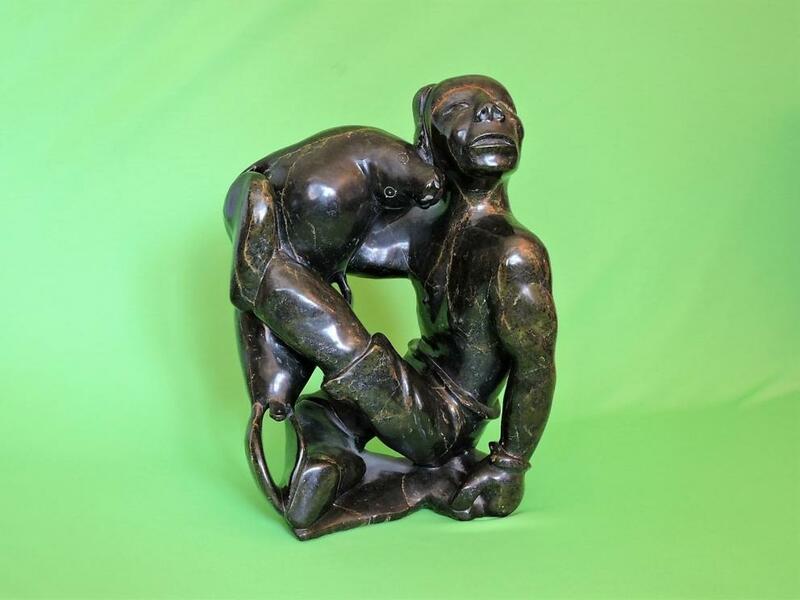 A mid 1980's Sculpter that immediately commands the full attention of the viewer. The work is created from Dark Green/Black Mottled Serpentine Stone from the North West Territories, Canada. The size is 18.5 inches high, 13 inches wide and 8 inches in depth weighing approximately 68.5 lbs/31.07kg. This is an Outstanding Sculpture! Special "Buy Now Offer" !!!! 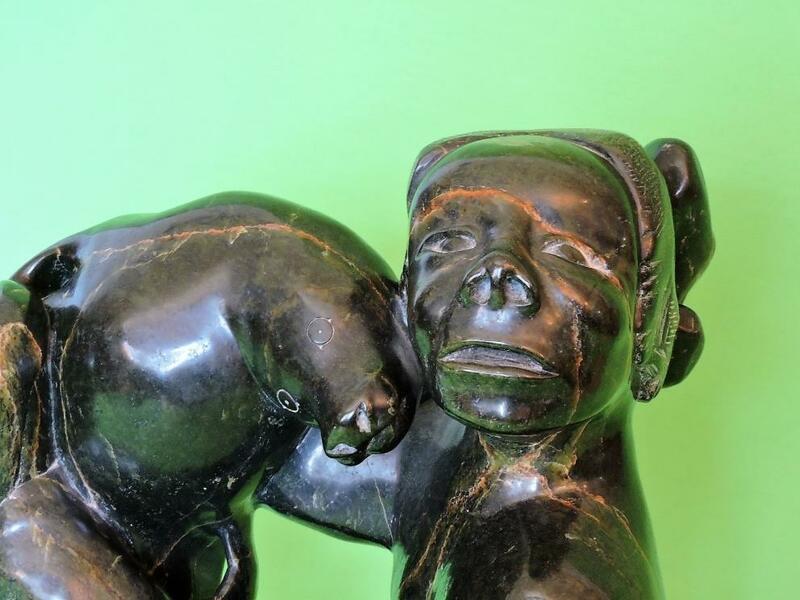 The value of this amazing carving is suggested at no less than $15,000.00 USD. The piece had been appraised a few years ago and has a provenance record. It is an incredible noteworthy work of art! ​NOTE: Offers to purchase of this item are subject to final approval of the owner, acceptable payment method & demonstrated financial ability by the buyer, the addition of packaging, insuring and shipping costs and subject to a prior offer and pending sale.